Aircraft icing protection systems are classed as either anti-icing (prevent ice from accumulating) or deicing (remove ice after accumulation). Anti-icing systems typically use heat (engine bleed air or electro-thermal) or chemicals to prevent ice buildup. Bleed air systems reduce engine thrust, require heavy and expensive plumbing to route dangerously hot air, and are susceptible to "runback refreeze," where melted ice migrates back and re-freezes on unprotected areas. 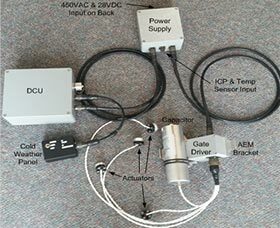 IDI has developed a series of products that address the deicing needs of the aviation community without the compromises of current technology. These light weight low energy systems are the wave of the future. 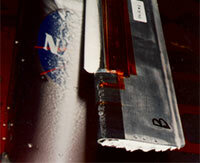 Whether you are looking for state of the art deicing systems or for ice detection technology, IDI has the expertise. In addition to aircraft deicing we have developed a cutting edge rotor-craft deicer (using a Shape Memory Alloy) that autonomously detects ice and removes it from helicopter blades. IDI also has new technology for ship deicing and anti-icing, large bridge and building structure de-icing and anti-icing, as well as antenna tower and radome anti-icing systems. 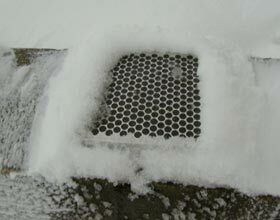 Icewick is an anti-icing and anti-slip grate for marine and non-marine applications. The Icewick surface consists of robust grating or tiles that wick an anti-icing fluid to the icing-prone surface from a reservoir layer located beneath. Icewick is designed for use on walkways, stairs, ship decks and in work areas. The system is passive and self-regulating. Fluid can also be supplied from a remote location by pump if necessary.